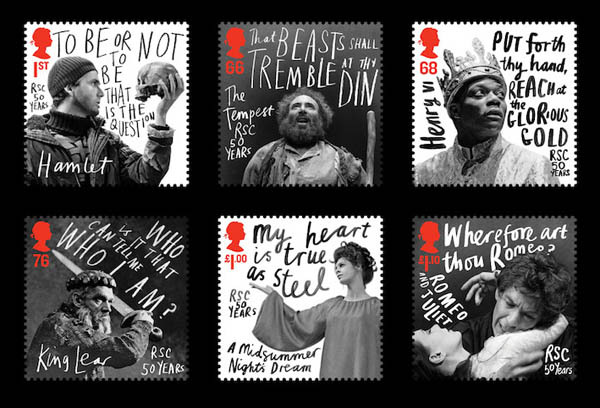 The Royal Mail have released these stamps to celebrate the 50th Anniversary of the Royal Shakespeare Company. An audacious contemporary design by Hat-Trick. 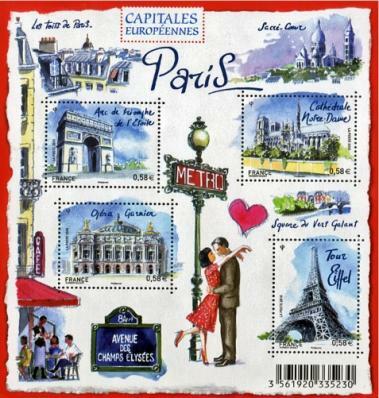 Meanwhile La Poste has produced another kitsch design, amateur watercolors of tourists Paris. A sad statement about commitment to design and future vision.